The Happy Homebodies: You Should Eat This. 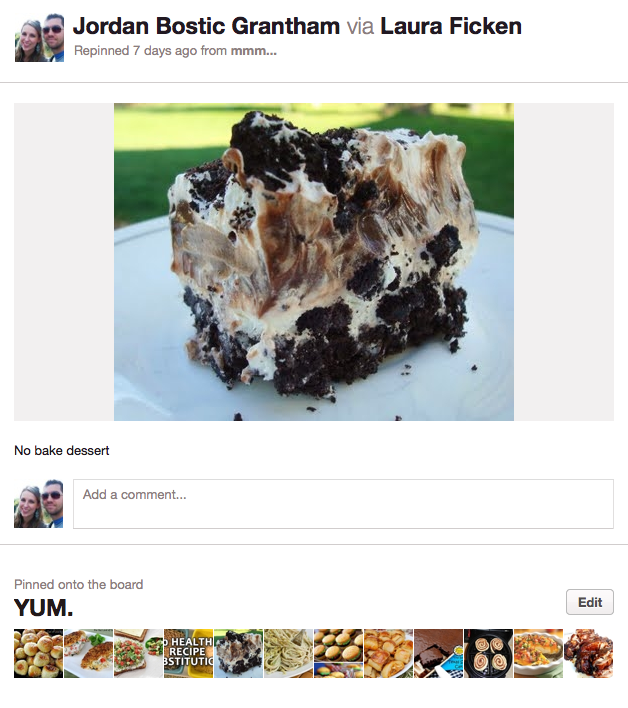 This isn't the first time I have proclaimed my love for Pinterest recipes, and it won't be the last. By the far the best benefit Pinterest has provided to my our life is in the food category. I am not much of a cook (understatement), and I'm not creative in the kitchen. 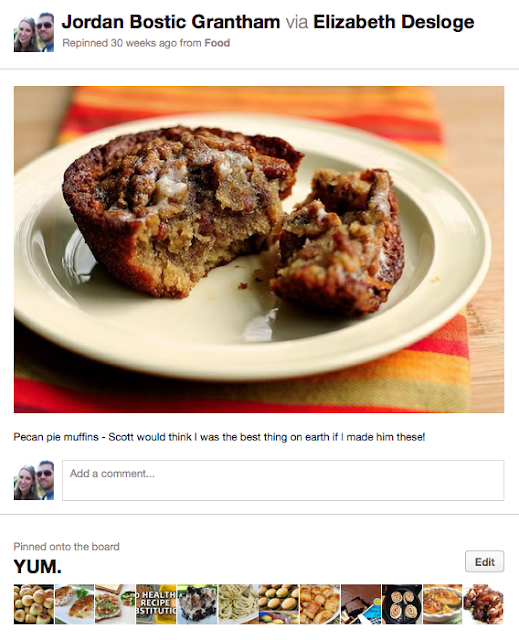 Pinterest gives me easy food ideas that even my limited skills can handle! I wanted to share the Pinterest recipes we have loved in our house, just in case you need some new ideas! It just so happens that these are all desserts. Can you tell we love sweets? Last night we made a total feast with the help of my best friend, Kelsey. BBQ ribs, twice-baked potato skins, honey baked beans and a heavenly dessert. I may have gained five pounds, but it was SO worth it. The crown jewel was this awesome no-bake dessert! We tweaked it a little, using Reeses Chips Ahoy cookies for the cookie crust and Oreo crumbs in between the layers and on top. We all did that cliché "MmmmmMMMMM" as soon as we took the first bite. Delicious!! 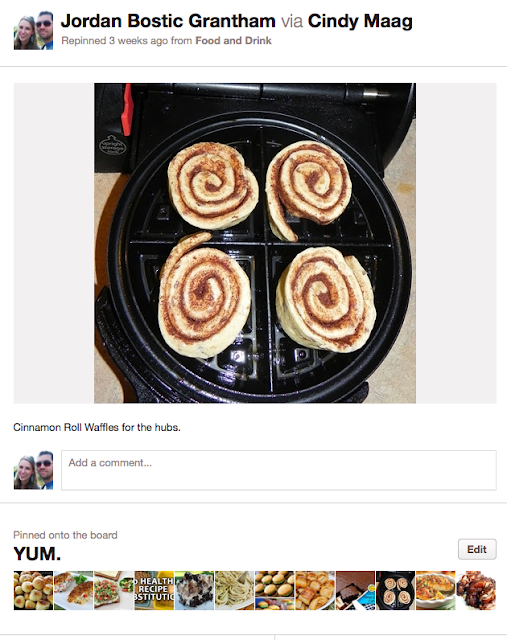 I've been meaning to try this idea for my waffle-loving husband for awhile now, and I finally got around to it this morning. It's so simple- place cinnamon rolls (mine were from a can) into the waffle maker and let it do its thing! The husband said he preferred a waffled cinnamon roll over the regular cinnamon roll presentation, and I thought they tasted better than regular waffles. It was way easier than making waffle batter, that's for sure. They were ready in less than three minutes! We made this french toast breakfast casserole for our Christmas morning meal. I loved that I could make it on Christmas Eve and just pop it in the oven the next morning. It's very rich (like everything Paula Deen does) but it was really yummy. It reheated really well, too, which is always nice. We've made this oreo-cookie-brownie concoction for a couple of potlucks, showers and gatherings. It is always a big hit! Mr. Happy Homebody is a HUGE pecan pie fan, so I made these pecan pie muffins for him. He loved them. If you have a pecan pie lover in your life, you should surprise them with these! 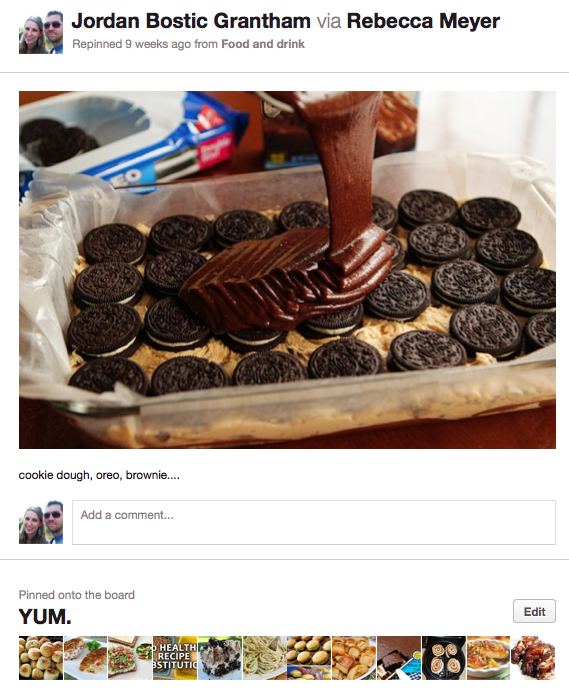 If you aren't on Pinterest yet, you are seriously missing out! 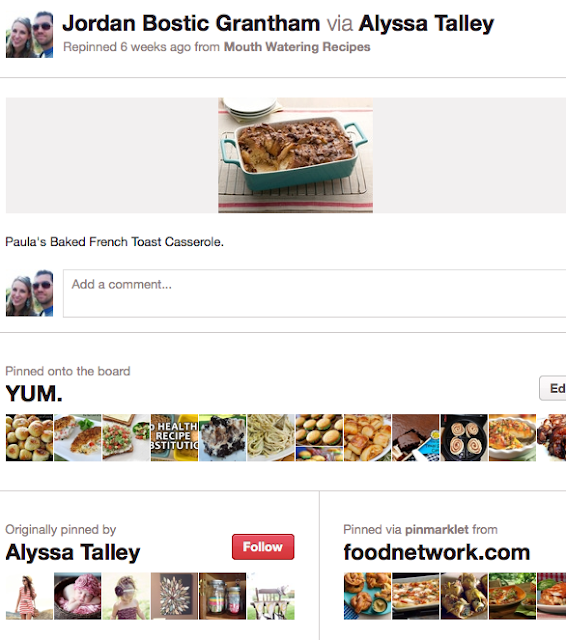 You can follow me (and my yummy food pins) right here!